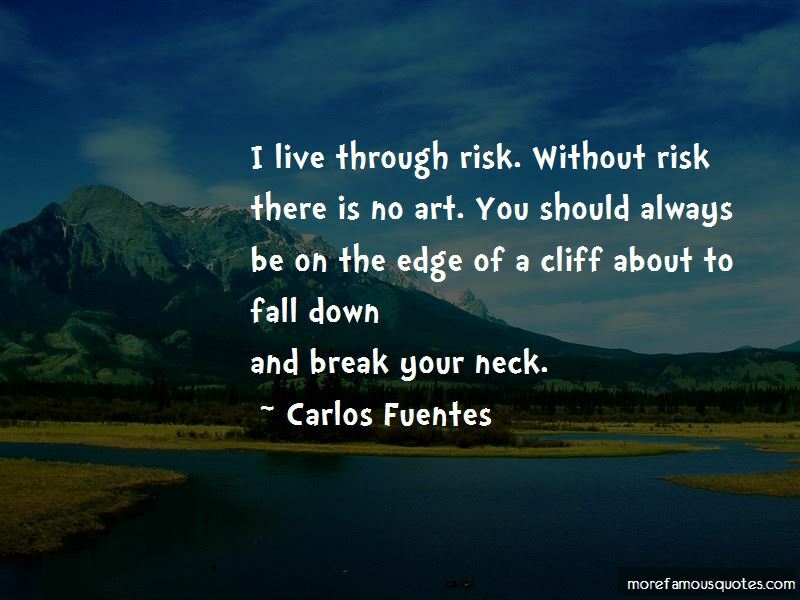 Enjoy the top 116 famous quotes, sayings and quotations by Carlos Fuentes. No, it's not that they're bad. It's that they're obliged to pretend they're good. They've been brought up to deceive and be cunning, to protect themselves from our society. I don't want to be like that. My system for staying young is to work a lot, to always have a project on the go. I had the good fortune of having a happy, closely knit family. What is the strongest pretext for loving? ... If it is necessary, our atomized consciousness invents love, imagines it or feigns it, but does not live without it, since in the midst of infinite dispersion, love, even if as a pretext , gives us the measure of our loss. Without its changing shape or dimensions all of a lifetime's memories fit miraculously within it, perhaps revealing a mystery ... Memory was not something that overflowed or was shoehorned into the shape of an object; it was something that was distilled, transformed, with each new experience. 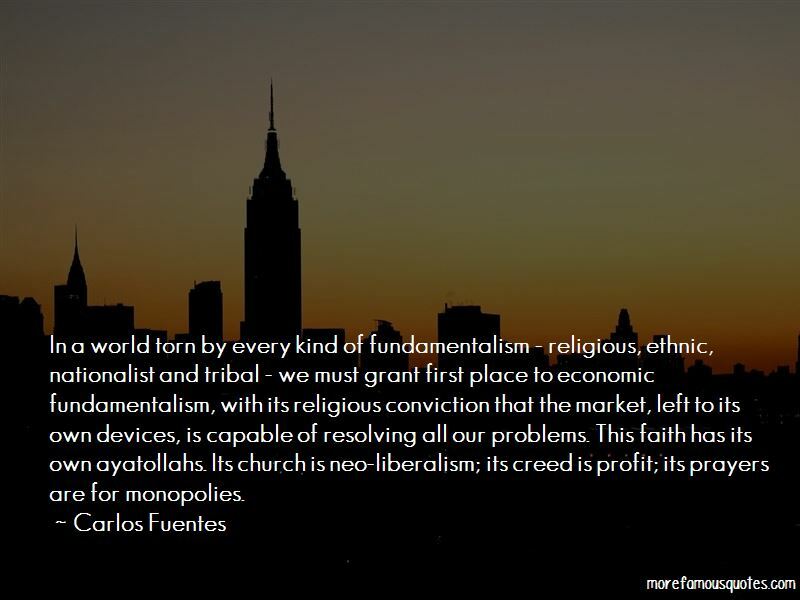 What America does best is to understand itself. What it does worst is to understand others. The Mexicans descend from the Aztecs; the Peruvians descend from the Incas; the Argentineans descend from the boats. The citizen takes his city for granted far too often. He forgets to marvel. 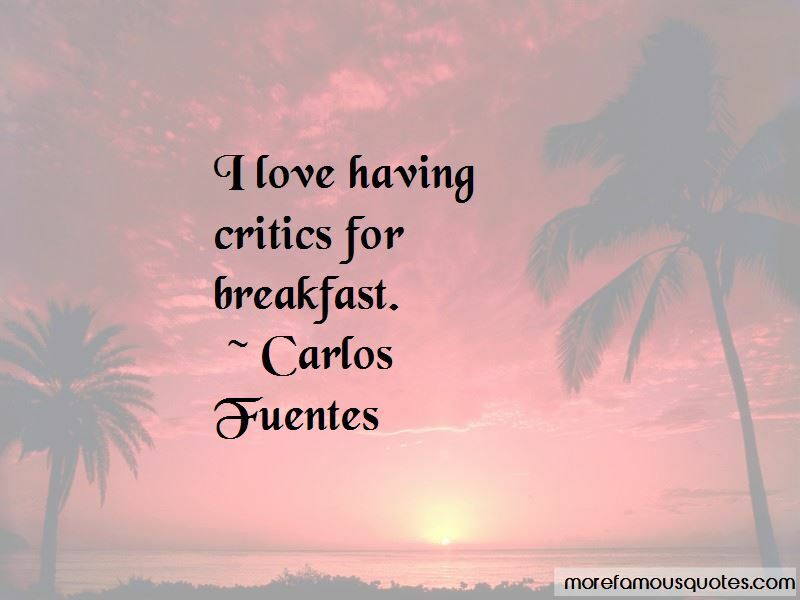 Want to see more pictures of Carlos Fuentes quotes? 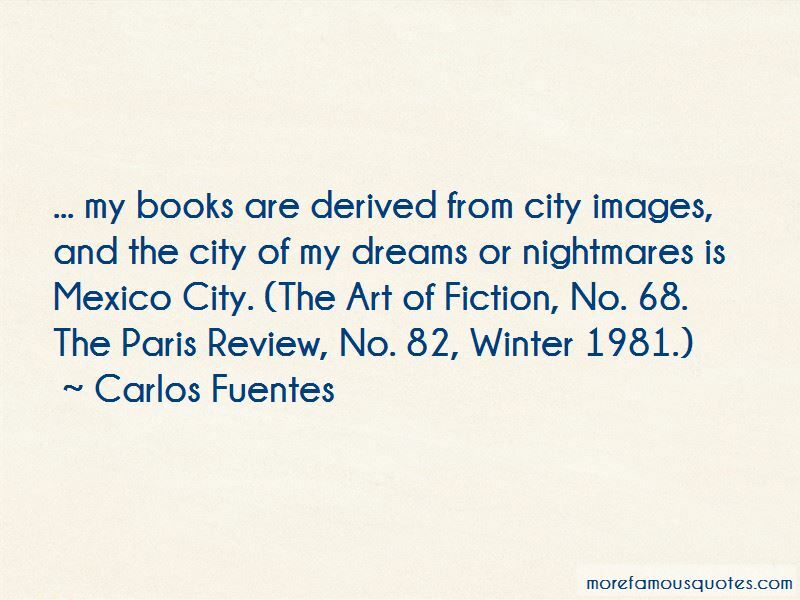 Click on image of Carlos Fuentes quotes to view full size.